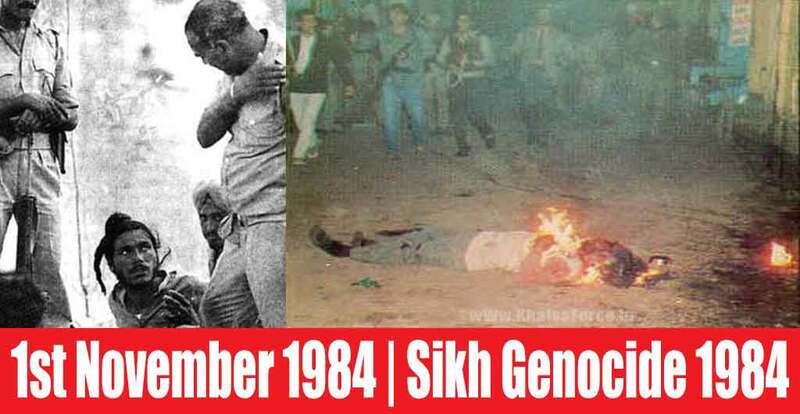 Home » Sikh Martyrs » About 1984 | Operation Blue Star » Sikh Genocide 1984 » 1st November 1984 | Sikh Genocide 1984 | The FIRST killing of a Sikh Occurs in East Delhi. Who Are The Real Terrorists? Ex-police Inspector Gurmit ‘Pinky’ Lifts The Lid On Panjab Police Policy In The 1990’s To Torture And Kill Sikhs In Fake Encounters In Return For Handsome Rewards. Previous post Sikh Male Has Been Beaten, His Hair Forcibly Cut & Beard Shaved Off | Then Clubbed To Death.